Riviera Beach Hotel Benidorm is a 4-stars hotel belonging to the Hoteles Benidorm group. 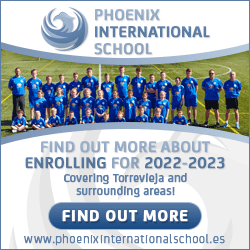 It is located 350 meters from the Levante Beach and 700 meters from the centre of Benidorm, in the world-famous entertainment district. Riviera Beach Hotel comprises a total of 99 Rooms, 97 double and 2 suites. All rooms have a private terrace, air conditioning and bathroom with hairdryer. 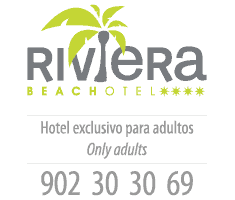 Riviera Beach Hotel is an ADULTS ONLY hotel only. (All guests must be over 16 years old). The restaurant offers a lunch buffet and it also has a bar open all year. There is a pool bar that can be enjoyed during the summer months. The menus are international and feature an extensive selection of wines.